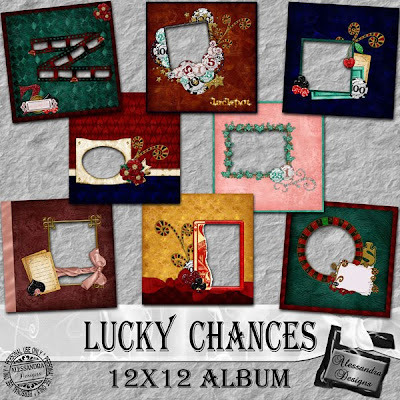 Lucky Chances is a gorgeous and elegant kit, created to bring you a little bit of the excitment of one of the most magical places - a Casino!!! This is a lovely way to save your photos and precious memories. Lucky Chances Album coordinates with my kit Lucky Chances, and Lucky Chances Alpha. Get the complete collection and add many more pages to your Album.